This is a nice collection of quotations by His Holiness the Dalai Lama, originally published as one-a-day calendar quotes. It might have been better to read/listen to them one at a time, instead of right through, because in this collection, there is no particular order, or theme. 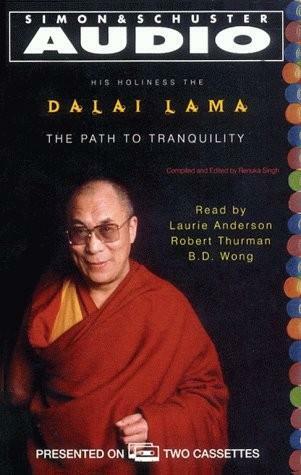 One of the male narrators reads with passion and understanding of the text, as I imagine the Dalai Lama himself would have read it, but the two other narrators simply read. Since there are 3 narrators, the tone and volume change with each track, requiring adjustment. The thoughts and ideas presented, however, are insightful, inspiring and thought-provoking. I definitely recommend this audiobook, but I think it might be nice to also buy the calendar.